Prime Minister Narendra Modi laid the foundation of six new model degree colleges in the Odisha state through video-conferencing from Jammu and Kashmir. He also launched an entrepreneurship, innovation and career hub at Utkal University in Bhubaneswar. The colleges will be set up under the Rashtriya Uchchatar Shiksha Abhiyan (RUSA) at an estimated cost of Rs 12 crore each. 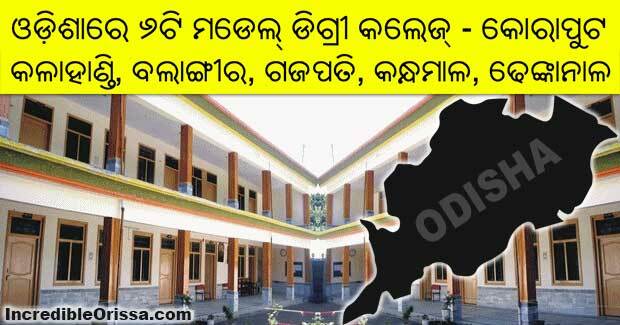 The six model degree colleges will be set up in Kalahandi, Koraput, Balangir, Gajapati, Kandhamal and Dhenkanal. All six have been chosen for the Niti Aayog’s ‘aspirational districts programme’. An event was organised on the occasion at Koraput Government College where the students interacted and discussed various issues with the PM. “We were happy that a tribal-dominated place like Koraput is being recognised by the Centre. We were also excited that we got the opportunity to ask questions to the Prime Minister,” said a student of Koraput.